When you've chosen our new windows for a home renovation, there's still one more thing you need to consider and decide, and that's the color of the frames. It may seem like a simple choice, and sometimes it is, but here's a helpful guide for how to choose the right color frames for the right windows in your home. When you get your windows from Advanced Window Products, they're just right for you and your home, down to the last detail. *Please note - Colors shown may vary computer to computer from product color. 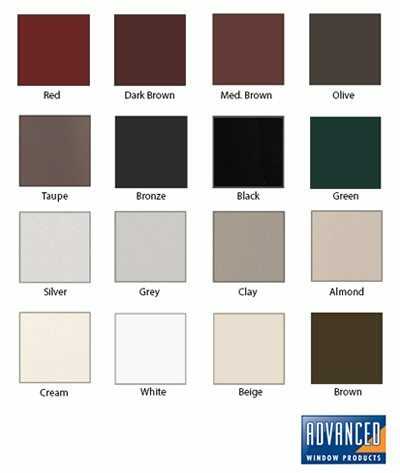 See your Advanced Window Products representative for actual color samples. When it comes to color options for window frames, there are many options to choose from. You can narrow down our options by figuring out what style your home is, and what style you want. For a traditional style, the color of the window frame should pop out, or contrast, with the colors of the house. For a modern style, we want the color of the window frames to be similar, or blend in with the colors of the house. Another way you can narrow down your color options is deciding what color palette you like best, or looks best on your home. Warm colors, which consist of reds, yellows, oranges, and browns, typically feel more traditional. For a more modern feel, cool colors might be better, which consist of greens, blues, purples, and grays. Keeping the colors of the house in the same palette, cool or warm, keeps the look coordinated. There can still be contrast, such as beige frames for windows in a red brick house. White and black as colors exist outside these color palettes and work with either set. It's important that you know what style your home is, or what style you want it to be when you're deciding the colors for the frames. If the exterior of the home consists of exposed brick or vinyl siding, or if the windows have wooden trim, those tend to be more traditional designs. Homes with a stucco exterior, or windows without trim are traditionally going to look more modern. Knowing if you want a modern or traditional look with our windows helps to determine the color of the window frames, but you should also consider the color of the wall where it will be installed. Painting a wall is much easier - and can be done more frequently - than replacing windows, so in many cases, it's best to stick with a neutral window frame color that can work with a variety of other colors. In doing this, your windows keep looking fabulous as you paint and repaint our house over the years. Beige and tan have been the kings of neutral for a while, but grays are becoming a more popular choice for a sleek, neutral color for homes. Choosing the right color for the right window frames is an important decision. The experts at Advanced Window Products have the tools and the expertise to get you the right windows and install them for you the right way. 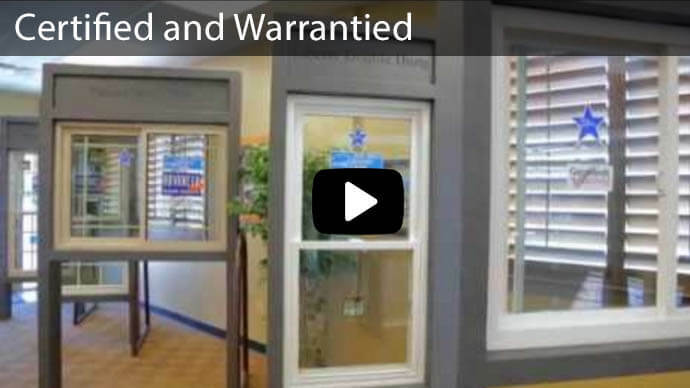 We offer a number of other services, including sliding glass doors and vinyl siding as well, and all of our products come with a double warranty. With financing available at no interest when paid in 60 months, there's no reason you shouldn't call now and get started today making your home better and more beautiful. Contact us here, or call 801-505-9622 to get a free estimate.